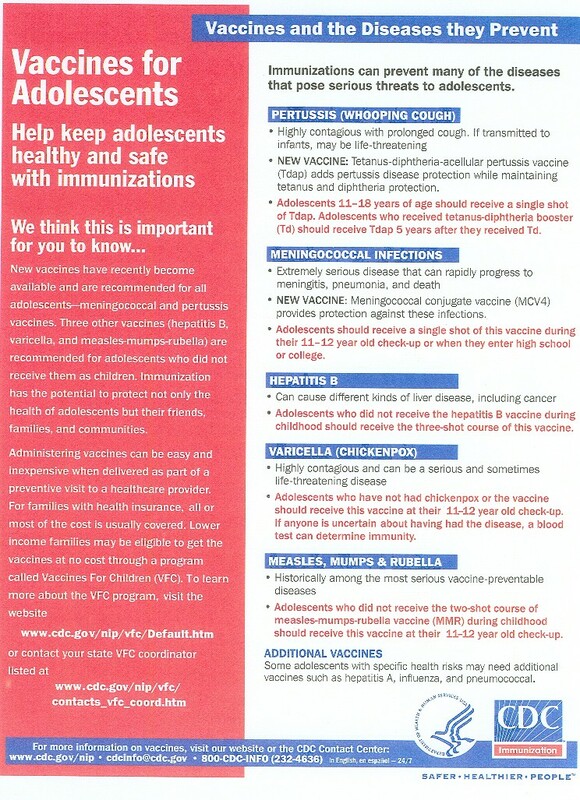 Click the links below to read and print a list of recommended immunizations. Once the image is open, if it is too small to read, click on it to enlarge it. To print the entire image, go to the Menu Bar at the top of the page, Edit/Select All. Then go to File/Print/Selection/OK. 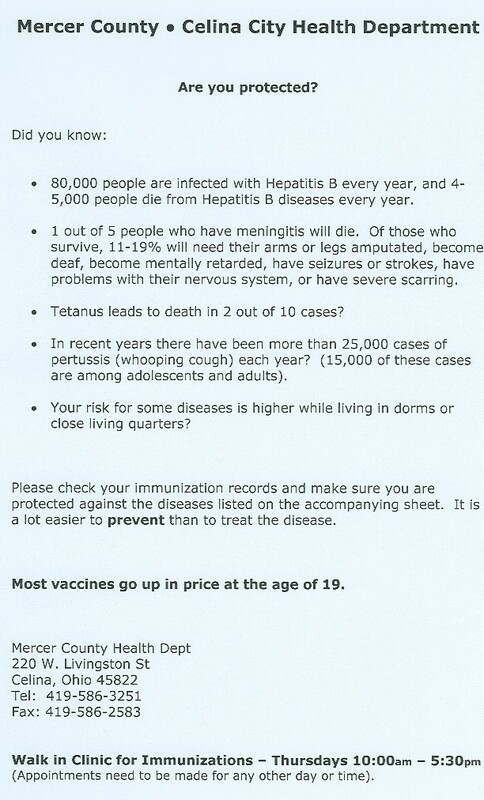 For more information about cost, availability, or to schedule an appointment, please call 419-586-3251. Voice mail is available for messages left after office hours. Our hours are Monday through Friday, 7:30 A.M. to 4:00 P.M. with walk-in immunization clinic every Thursday from 10:00 A.M. to 5:30 P.M.